Each Friday, we recommend seven Old Movies to Watch Now, all of which come recommended by one of our critics and can currently be screened online. Read the review, watch the movie, feel accomplished. • Theremin: An Electronic Odyssey, a documentary about the spooky-sounding instrument. • Hadewijch, Bruno Dumont's story of "excessive piety and self-abnegation." • The Grapes of Wrath, John Ford's great adaptation of the Steinbeck novel. 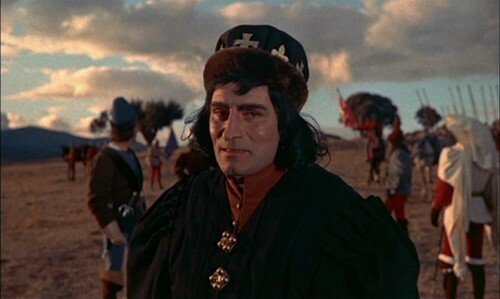 • Richard III, Laurence Olivier's Shakespeare adaptation. • To Have and Have Not, the Howard Hawks drama. • Robin Hood, Douglas Fairbanks's silent classic. • Nothing Sacred, "the definitive Ben Hecht screenplay," according to Dave Kehr. For even more selections, check out OMTWN, your go-to spot for streaming recommendations. Happy watching!